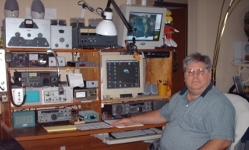 Since 1967 I have had as my primary avocation the hobby of Amateur Radio - a.k.a. Ham Radio. As a result, I've logged countless hours talking to the world, listening to conversations and news from across the globe, and participating in the many facets of a hobby that never grows old. 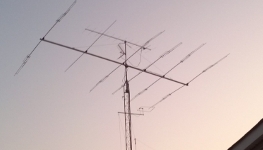 I started as a "shortwave listener" (SWL) when my Dad bought me a multi-band shortwave radio, and from there progressed up the ladder of requirements and privileges we have access to as federally licensed Amateur Radio Operators. When I met my wife Amy, she also became a Ham and is licensed as N5TBB. 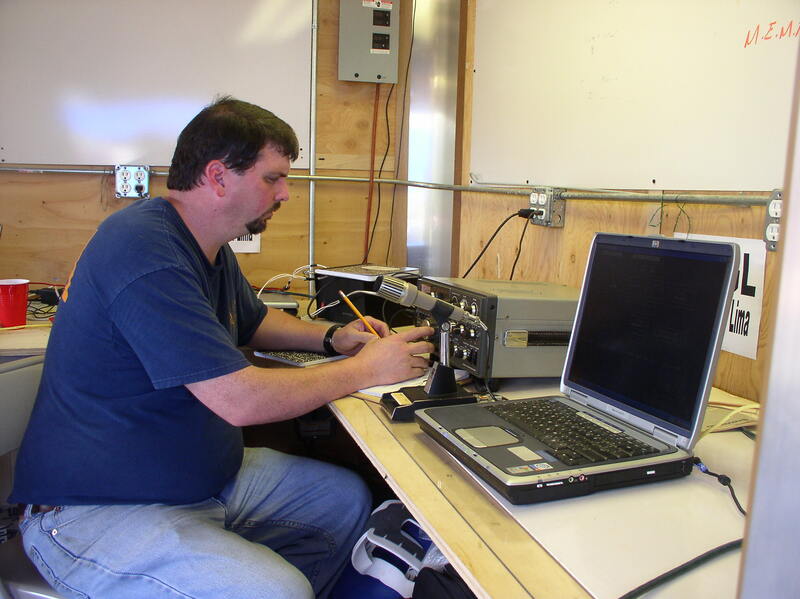 We share the station, as well as many of the many activities that make up the Amateur Radio experience. If you're unfamiliar with Ham Radio, here's an excellent Wikipedia article as an intro, and after you've read that, here's a link to our national organization, The American Radio Relay League. Over the years my station has changed in many aspects from huge tube-type equipment to miniaturized equipment that is truly state of the art. Here's our current station, at least as of January 2011. Actually, the primary rigs are the TS-440, and the IC-706MKIIg. There's also a 2M/432M all mode that's not shown. We hams tend to be a dissatisfied bunch, and change up things pretty often. This is the array on our 40' fold-over tower. Most prominent is the venerable KT-34A - best antenna I've ever used - along with the 2M 11-element Cushcraft on top (horizontal for 2MSSB), and beneath that, the 432 Corner Reflector (also horizontal). Just below the top of the tower is a 2M loop, and below all that, the 75M Inverted-v. 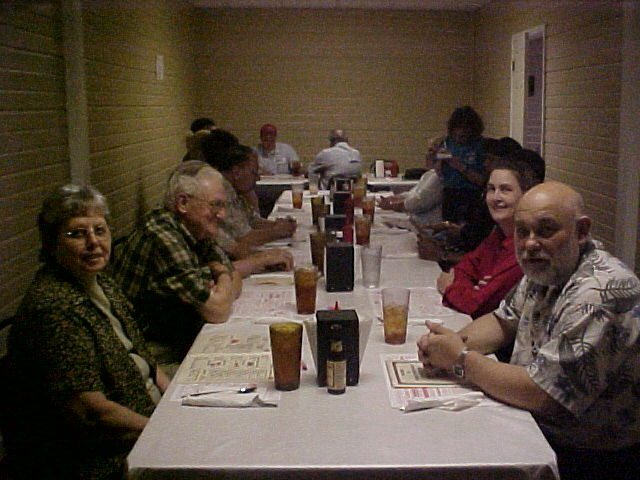 In addition to the thrill of just plain over-the-air contacts, in 2009 I was appointed Vice Director for the Delta Division (Arkansas, Louisiana, Mississippi & Tennessee) of the American Radio Relay League, our national organization. During my 3 year tenure, I worked along side many talented people at our national headquarters in Newington, CT. Twice a year Amy and I would make the trek from the deep south to New England Connecticut to meet with representatives from across the country, all of whom had one thing in common - to make Amateur Radio better. The current Director is Dave Norris, K5UZ, from Batesville, AR, a good friend and a great representative for Delta. Glen Clayton, W4BDB, also a great guy, is Dave's Vice Director. Finally, we have a local group, the Tippah Amateur Radio Association organized so not only could our local hams keep in touch with each other, but to be prepared in the event of a major disaster in our area. Here are a few pictures from TARA activities. Here's Wayne, K5YPV and Steven Smith, AD5NI at an emergency preparedness exercise that also doubles as a contest. It's called "Field Day", and it's the last full weekend each June. This was the one we participated in 2003. 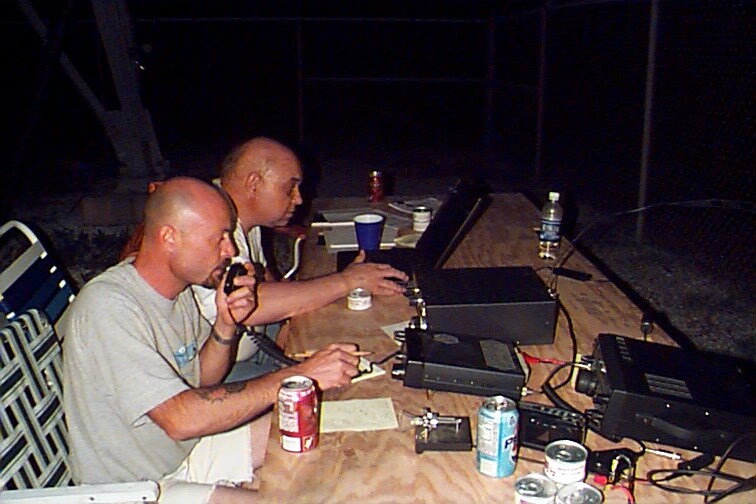 Here's Tom Lindsay, KD5SBC working the 2007 Field Day. He's inside the Emergency Operations Center's mobile command post. This one was held in a field near Dumas, MS.
We were presented the Affiliation by the Delta Division Director, my friend Henry Leggette, WD4Q. Sorry, Henry, but we never did get a good picture of you that night.